James Beard Nominees in Boston's South End! James Beard Nominees in Boston’s South End! 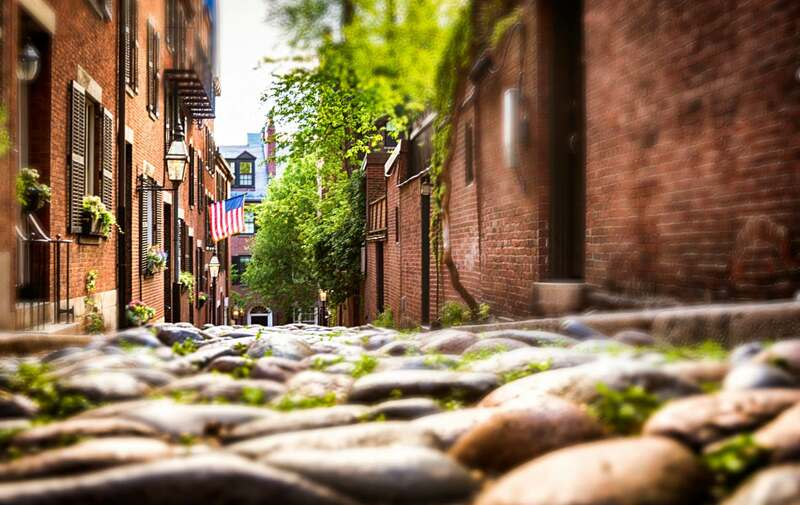 Our historic bed and breakfast is nestled in one of Boston’s best kept secrets: the South End neighborhood. While wandering through the narrow streets, walking on the centuries old cobblestone sidewalks, visitors and locals alike can find some true gems. Fabulous boutiques, art galleries and restaurants are plentiful and each as unique as its predacesor. It is never a dull day taking a stroll outside our door. While walking and working up an appetite, you and your friends will undoubtedly be arguing over which brilliant restuarant to eat at first. The James Beard Foundation has honored many Boston chefs who proudly serve their signature fare in our wonderful neighborhood. Chefs like Barbara Lynch and Ken Oringer both hold multiple awards from the foundation. They seem to be passing the torch. Two different chefs who call the South End home are now nominated: Jamie Bissonnette and Joanne Chang! Jamie Bissonnette began his culinary career in Florida and only went up from there. He worked, ate and traveled through Europe and much of the United States before settling down in Boston in the early 2000’s. In 2005, he opened one of the city’s most popular restaurants, Eastern Standard. He was later recruited by Ken Oringer (name sounds familiar, doesn’t it?) to work at KO Prime, a modern take on the classic steak house. The coupling of Bissonnette and Oringer is a culinary marriage made in heaven. Together, they opened Toro, another South End gem and most recently, Coppa, for which Bissonnette is nominated. Jamie is a master of head to tail cooking as well as using locally sourced products from sustainable partners. The passion and ingenuity can be seen is all of his dishes including his bone marrow wood fired pizza with beef tongue and a horseradish cream and the sun choke crostini topped with Meyer lemon, hazelnuts and mascarpone cheese! Yum! While Jamie Bissonnette can be Boston’s wild child with his sleeve tattoos, hipster glasses and multiple piercings, Joanne Change can be though of as Boston’s baking sweetheart. An honors graduate from Harvard, Chang left the corpertate world to pursue her passion for baking and pastries. Her culinary career kickstarted with Lydia Shire (yet another James Beard award winner) at Boston’s Biba Restaurant. She worked in Boston, Newton, MA as well as NYC before returning to Boston to open her own bakery: Flour, in 2000. Flour now has 4 locations in the greater Boston area and two cookbooks on the shelves featuring Changs delicious sweets. In 2007, Chang opened an Asian restaurant with her husband, Christopher Meyers: Meyers and Chang, also in the South End. Her baked good are unparalled. Chang appeared on Bobby Flay’s “Throwdown” and beat him hands down in a sticky bun bake off. Flay should have known better than to take on a woman who competed in 15 Boston Marathons! There are 20 nominees in the Best Chef Northeast category, 5 in Massachussets, 4 in the Boston/Cambridge area and 2 in our cozy South End. Will one of our neighborhood heroes take home the prize? Only time will tell. While we wait, lets eat! This entry was posted in Uncategorized and tagged best chef northeast, boston bed and breakfast, boston south end, coppa restaurant, flour bakery, james beard foundation, jamie bissonette, joanne chang by admin. Bookmark the permalink.